Zambian club Nkana hope a change of opponent and venue will bring success on a second visit to Cairo after being humiliated there two months ago. A 5-0 drubbing from Zamalek at the Air Defence Stadium ended their CAF Champions League campaign. Demoted to the second-tier CAF Confederation Cup, Nkana upset Tunisians CA Bizertin to secure a place in the eight-club mini-league stage. And the Zambians could hardly have been given a more challenging matchday 1 assignment than playing away to Al-Ahly, winners of a record 18 CAF titles. 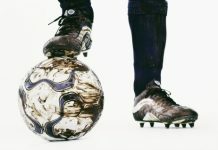 The clubs meet Saturday at the Petro Sport Stadium in Cairo, and there will be no spectators because of previous clashes between Ahly supporters and police. 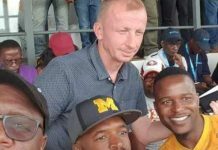 Playing behind closed doors because of misbehaving fans or the tense Egyptian security situation is a hardship the Cairo ‘Red Devils’ have become used to, and if Nkana coach Masauso Mwale fears another nightmarish Cairo experience, he was not showing it at training in the Egyptian capital. “We realise what happened the last time we were here,” he told reporters. “Lessons were learnt during the Zamalek game and I hope my players can use them to their advantage this weekend. “Ahly is a different game altogether and we are ready,” was his reassuring message to Zambian football supporters. The Egyptians also began this year in the Champions League, seeking a record third consecutive title after final victories over Tunisians Esperance and South Africans Orlando Pirates. 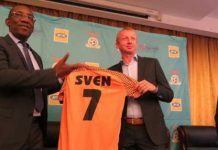 But they came unstuck against Libyans Al-Ahly Benghazi and followed Nkana and six other last-16 losers into the Confederation Cup play-offs. Caretaker coach Fathi Mabrouk, a 63-year-old promoted from youth team boss when Mohamed Youssef quit last month, respects Nkana. “They are a good team who play quick, physical football. After losing badly to Zamalek, they bounced back to eliminate Bizertin. “Forcing a draw in Tunisia was a wonderful achievement and we dare not underestimate them. 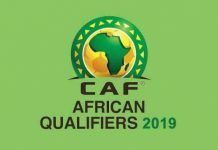 Ahly have featured in the second-tier competition only once before and failed to get beyond the play-offs, losing on penalties to Angola’s Santos despite building a three-goal first-leg advantage. No Egyptian club has won the Confederation Cup with ENPPI coming closest by reaching the 2009 semifinals. 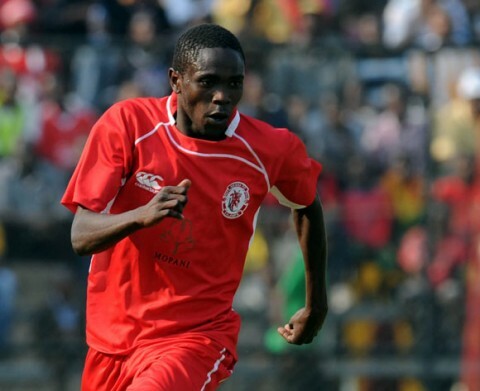 Suspensions rule out Nkana defender Christopher Munthali and midfielder and captain Sydney Kalume while fit-again defender Sayed Moawad is available for Ahly. Fellow Group B teams Sewe San Pedro and Tunisians Etoile Sahel meet Sunday in the Ivory Coast. Sewe impressed during the play-offs by defeating Bayelsa United 1-0 in Nigeria, a country where visiting clubs rarely triumph. Etoile are the most experienced of the eight title challengers having won the 2006 Confederation Cup and finished runners-up two seasons later. 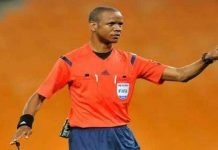 The Abidjan club triumphed 2-0 against CO Bamako in the Malian capital during the qualifiers, thanks to goals from Koffi Boua and Foba Koffi. 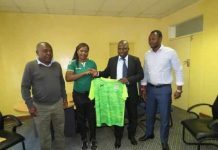 Former title-holders AC Leopards postponed a home game against Cameroonians Coton Sport because their top players have been chosen by Congo for an Africa Cup of Nations eliminator in Namibia.